class="post-template-default single single-post postid-5606 single-format-standard wpb-js-composer js-comp-ver-3.6.12 vc_responsive"
ASLEEP AT THE WHEEL is the legendary Austin based 9-time Grammy winning Band led by the dynamic Ray Benson. For over 40 years Asleep at the Wheel have been the caretakers of Western swing, carrying the traditions of Bob Wills across generations and the into the 21st century. The band latest CD is a spectacular tribute to this legacy, called ‘Still The King: Celebrating the Music of Bob Wills and His Texas Playboys” and they are joined by The Avett Brothers, Old Crow Medicine Show, Buddy Miller, Elizabeth Cook, Lyle Lovett, Shooter Jennings, Brad Paisley and George Strait on the album. Widely considered “The King of Western Swing,” Bob Wills and his Texas Playboys performed thousands of shows across the United Sates for nearly six decades and recorded prolifically in the late ‘30s and early ‘40s. Early stars of American country music, Bob Wills and His Texas Playboys were a dance band with a country string section that played pop songs as if they were jazz numbers. Bob Wills was inducted into the Country Music Hall of Fame in 1968, the Nashville Songwriters Hall of Fame in 1970, the Rock & Roll Hall of Fame in 1999 and the National Fiddler Hall of Fame in 2007. 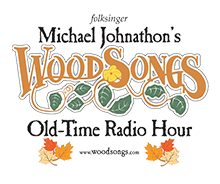 TICKET INFORMATION: This show is a fundraiser for our national education project “WoodSongs In The Classroom” Tickets are $30 public and only $20 for WS Partners. ONLY PARTNERS CAN GET TICKETS AT THIS TIME. Call the Lyric Theatre box office 859-280-2218 after 1PM or visit LexingtonLyric.com. 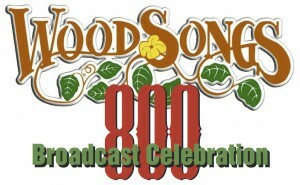 We are excited and proud that Asleep at the Wheel will be the featured guests as we celebrate the astounding 800th broadcast of our show.